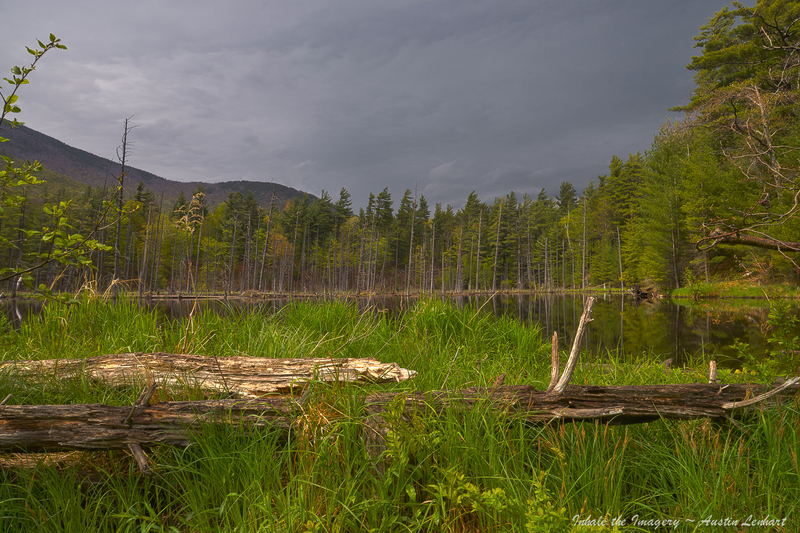 Set up on a trail just below a beaver dam and pond near Lake Placid, NY. I’m about four feet below pond-level…While out on the trail I ran across a muddied trail runner coming back from a long run. Part of his training for the Lake Placid Ironman… Many cyclists on the roads as well. A very natural and sports oriented town.. Besides the runner the trail was empty and the Beaver pond was calm and quiet.. A nice Sunrise Project morning.